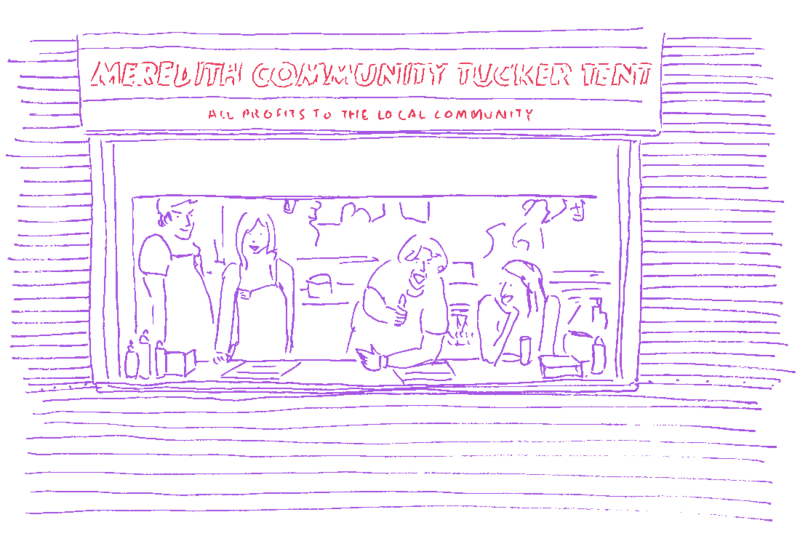 More than a sausage sizzle, not quite a hardware store, the Community Tucker Tent has been in operation since the early 90s. Fundraising centred around the BBQ has been a staple of the district for years. Back in the 70s, the Meredith Golf Club held a “society” BBQ at “Kialla”, the homestead of Sir Henry and Dame Edith Bolte, to raise money to install a septic tank. Guests were charged $6 a head, which is still more than it costs to feed yourself at the Tucker Tent. 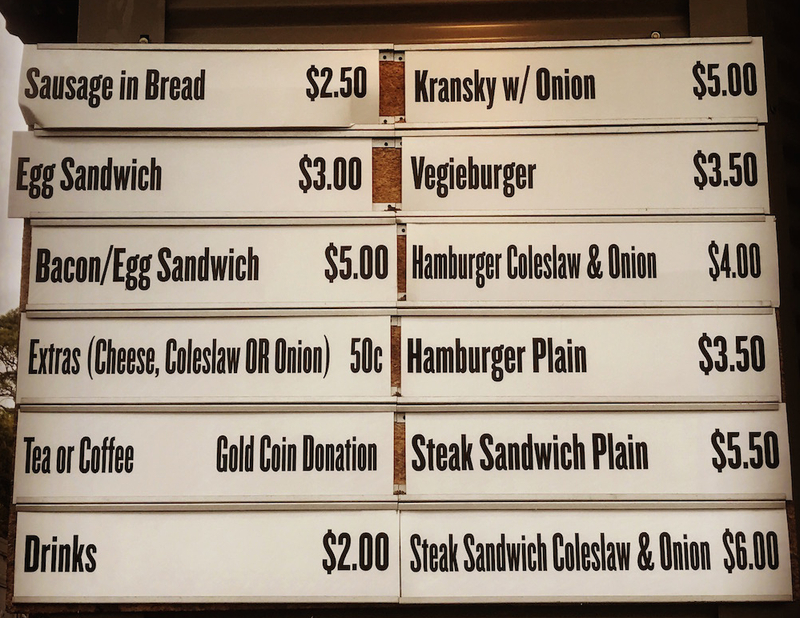 Apart from the snag in bread, the Tucker Tent sells a bunch of other hot items, including breakfast and vegetarian options, as well as coffee and tea for a gold coin donation. The Tucker Tent is organised, managed and staffed entirely by volunteers from many local community groups who make use of the profits to fund various projects and venues around town such as the school, tennis club and Memorial Hall. A portion also goes to the on-going healthcare and welfare of co-founder Chris Nolan. Chris was (and still is in some cases) a member of many of these groups. The Tucker Tent can be found in the International Food Court where it is now housed in a purpose-built, weatherproof, architecturally designed shed. Also available from Helper Hut U11, where Top Camp meets South Pines and Outer Space, between 11am and 2pm Saturday and Sunday. Brought to you by the Tucker Tent crew.